Manhattan, NY (April 13, 2019) – Early this morning, around 3:15 a.m., a crane accident took place at a construction zone at the intersection of Varick and Broome Streets. Police confirmed that one person was killed in the accident. 34-year-old Gregory Echevarria was found unconscious and unresponsive at the construction site. When paramedics arrived, they pronounced him dead due to his injuries. The accident took place when the construction crew he was a part of, which also included the victim’s brother, was setting up a crane in the area when the counterweight slipped. Echevarria was fatally stricken by the crane. Another worker received an injury after he was struck by the crane boom and was taken to the hospital but is expected to be okay. The cause of death is under investigation at this time. Before moving forward, we would like to extend our sincere condolences to the family and friends of Gregory Echevarria during this difficult time. 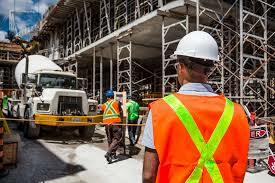 Construction accidents are far too common in New York and happen every year for a wide variety of reasons, some of which are negligence of workers and others that are the negligence of the construction company itself. It can be extremely difficult for the family of a loved one to file a claim and receive compensation for these injuries, which is why it is imperative to speak with an attorney about your claim. Our wrongful death attorneys at Hach & Rose are skilled at helping family members compensate after the loss of a loved one takes place unexpectedly. We understand that these accidents are delicate in nature and can leave you feeling as if you are without options, but this is not the case. Please contact us as soon as possible to get started on working toward results at 212-779-0057.